Shovel Knight by David L. Craddock is the 19th book in publisher Boss Fight Books’ series of nonfiction titles about game development and gaming culture, and is available now in paperback and digital editions. Due to concerns over page count, not all material made the cut. The following unused extracts "dig" into the design of Baz and Mole Knight, two bosses players encounter in 2014's Shovel Knight. Every so often, Yacht Club’s evaluations of a boss’s needs led them to bend their own rules for designing Shovel Knight. Secondary characters in NES games had walk cycles consisting of two frames, whereas the main character might have between four to six frames. Several Shovel Knight characters pushed that envelope. 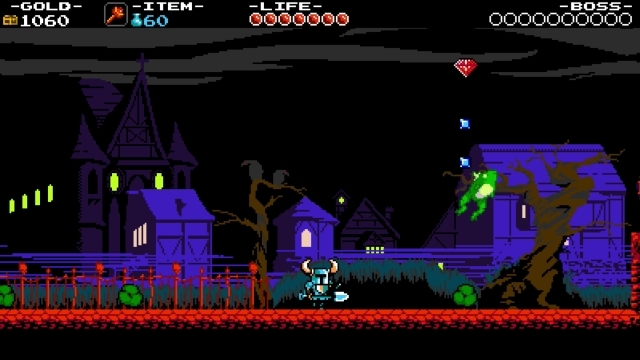 "I think Specter Knight and Shovel Knight stick out as especially not appropriate for the NES [hardware], just because they have so much animation, but people love how Specter Knight looks," reasoned Sean Velasco, co-founder of Yacht Club Games and director on Shovel Knight. "Specter Knight wasn't tied to the ground, so I could do more with how his legs were positioned, and make him more wraith- and reaper-themed." A grim reaper-type character who haunts the Lich Yard, Specter Knight oozes dread. 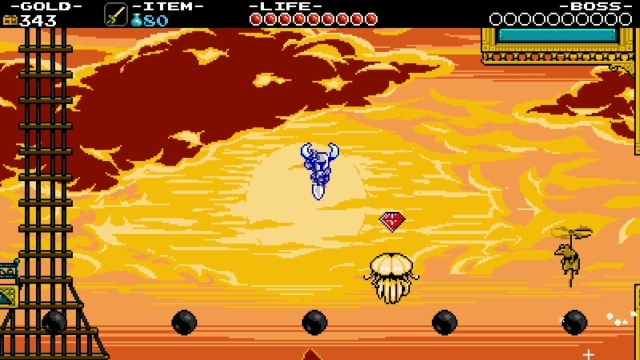 Before they battle, Specter Knight taunts his shovel-wielding foe by insinuating that Shield Knight is beyond saving, and reveals that the Enchantress raised him from beyond the grave. This nugget paints him as a possible anti-hero. Players are left to wonder if he is truly evil, or forced to carry out his mistress's bidding (a quandary answered in 2017's Plague of Shadows expansion pack). "He wasn't tied to the ground," explained co-founder and lead artist Nick “Woz” Wozniak, "so I could do more with how his legs were positioned, and make him more wraith- and reaper-themed." 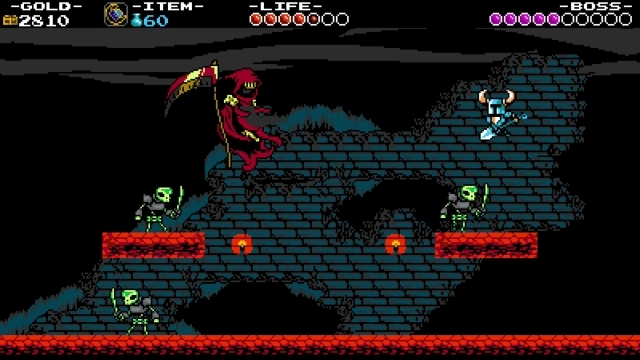 Specter Knight capitalizes on his ghostly form by gliding through the air and hurling his scythe, which cuts through the air before returning like a boomerang. More than adhering to his grim reaper character, uprooting Specter Knight left Yacht Club co-founder and programmer Ian Flood unencumbered from concerns that pertained to ground-based bosses. "He doesn't care about collision. In fact all of his attacks teleport or completely ignore collision. Fighting him isn't about reacting and sparring with somebody; it's about obeying their patterns and finding vulnerabilities within them. That's great because it's more of a classic NES boss in many ways." Once players wear down Specter Knight, he turns out the lights. Fortunately, players are prepared to fight in darkness, having just survived stretches of the Lich Yard featuring the gimmick. While screens cloaked in darkness might have proven tricky to navigate at first, players have been growing proficient in controlling their character. By the time they reach Specter Knight, they might feel a second or two of panic when the boss lair goes dark. Then they remember that they've dealt with this before, and their growing mastery over maneuvering Shovel Knight—knowing the arc of his jump, how far he stumbles back after getting hit—lights the way. "Specter Knight was pretty much all special-attack based: I put in this attack, I put in that attack, then I put in the other one," Flood described. "He summons skeletons, and you've fought skeletons. He summons a darkness veil, but you've [overcome] that before. It's surprising because you weren't expecting it, but it's not wholly new." Gathering feedback from testers, Yacht Club was surprised to learn that players found one particular move difficult to manage. At certain times during the fight, the reaper flings his scythe. The weapon's sprite is nearly as large as that of its wielder, which overwhelmed some testers. 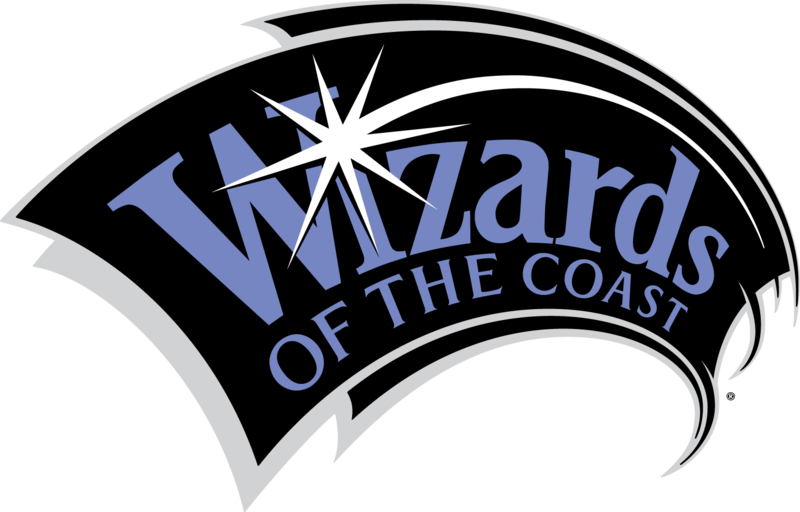 Yacht Club responded by slowing down the scythe, although it still covers a wide swath of air, so players still have to pay attention to dodge it. They also gave players plenty of opportunities to comprehend that timing is their best weapon. Because Specter Knight's string of attacks play out in patterns, and because he drifts between the same locations—above or below two platforms on either side of his lair—players can pick up on where to go and when to go there. "Just looking at the flow of the game, you [take on] Black Knight, then King Knight, then you go to Specter Knight. It's a little bit of a jump [in difficulty]," Flood admitted. "I think that's okay. It's okay to have differences, but I wonder if there's a way to fix it even more than we have already." 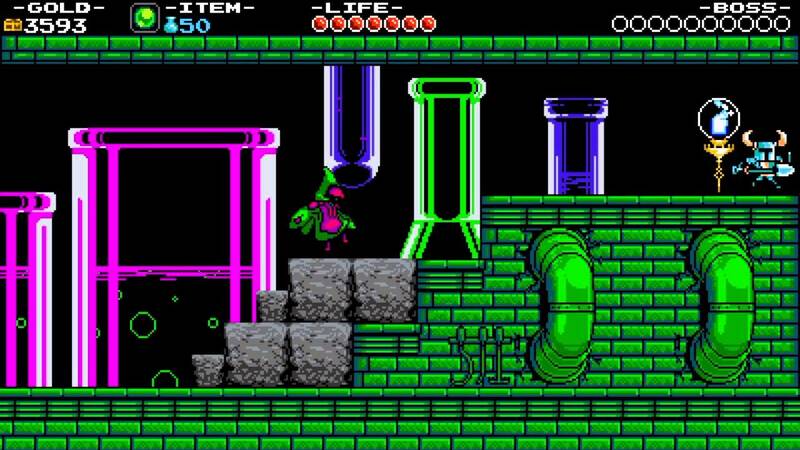 Plague Knight, coded by D'Angelo, is the antithesis of Specter Knight. "It's about finding things to find out how much variety you can get out of these three or four moves, just to begin with," D'Angelo said, laying out the process he used to bring Plague Knight to life. "Once all those attacks are in there and I've figured out an amount of variety, I think, 'how can I stitch these together in a way that makes sense?' I would say there are generally a few go-to ways." One way, popular in the NES era, is by structuring attacks according to patterns. That worked for Specter Knight, but it wouldn't do for Plague Knight. His text waves and shudders on the screen, giving the impression that he is as volatile as the explosive cauldrons of liquid scattered throughout his Explodatorium stage. Random attacks present another type of implementation, one Yacht Club rejected. Players should be able to calculate a boss's attacks and discern a pattern, if only to a degree. While Plague Knight's attacks seem random, there's a method to the mad foe's movements. "Plague Knight is always jumping to where the player is and trying to throw bombs at the player," D'Angelo explained, "so having him be pattern-based would be weird because he's much more of a reactive, manic [character]. That part is about figuring out how to lay out attacks in an order that's satisfying for the character." Explosions can harm the player, but they beget a secondary effect. Detonations rip away chunks of the floor to create holes, complicating navigation. Plague Knight occasionally spits out green fireballs that race along floors and walls, and summons cauldrons that trigger larger explosions when struck. Once again, players rely on their growing mastery to succeed. Shovel Knight can hit Plague Knight's bombs at him, just like Black Knight's fireballs, and shovel-dropping on his head bounces players up high out of harm's way. Building bosses does not end at implementation. Like the first draft of a book, they remain incomplete until Yacht Club puts them through round after round of polishing. 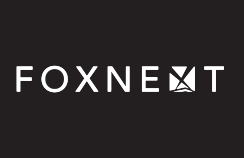 "You have to fine-tune how a boss works," said Woz. "Hit boxes change, and then we have to change how big a piece of art is. Specter Knight's scythe was one tile larger than it is now, so we had to tone that down." Propeller Knight, a swashbuckler armed with a rapier and Heli-Helmet, like a razor-sharp beanie forged from a propeller, is one of the last bosses on the road leading to the Tower of Fate. He's slim and nimble, and stands out as one of the most stylish enemies in the game's roster—equal parts debonair and roguish. Propeller Knight's temperament comes into focus when contrasted against Specter Knight's grim demeanor, Plague Knight's eccentricity, and Polar Knight's stoicism. "Propeller Knight seems like he would be a romantic, dashing sky pirate just by how he looks," said Velasco. "We tried to make his dialogue equally haughty and arrogant, but also fun-loving." "If the boss is there, you should be able to hit him. Everything else is just weaving in your attacks." The flighty boss sprang from a purposefully hasty bout of brainstorming between Velasco and Pellon. "We said, 'We're only going to give ourselves ten minutes apiece to draw these things, so we've got to be quick,'" Velasco remembered. They approached the white board, took up markers, and set off. "The initial drawings look very little like what we ended up with, but Propeller Knight of the Flying Machine started with a propeller on his head. He was a cocksure flying ace. That's what seemed intuitive for us." Propeller Knight stands tall and lanky, a svelte build ideal for a fencing pirate who bounds and soars to throw off his opponent's rhythm. Woz elaborated on his sprightliness when the time came to draw up animations. "His poses are extreme. He's very dramatic in how he positions his arms and where he puts emphasis on the weight of his body. He's almost contorted in his idle animation, and that comes through in many of his poses." Propeller Knight moves in a blur. His opening salvo consists of blink-and-you'll-miss-them thrusts—right to left across the screen then back again. As the fight progresses, cannonballs fired from galleons flying in the background fall like hail. Despite Propeller Knight's speed and fleet of cannons, players are faster. They need only fight aggressively and use the right attacks at the right time, such as shovel drops to counter lunges. "In some games there are bosses where they'll do a pattern where they'll attack four times, and then during the fifth attack, they're vulnerable and you can get in exactly three hits," Flood said. "I was always happy with the fact that all the boss fights in Shovel Knight had a great amount of player choice in them: You can beat them as fast as you want to if you know what you're doing." One pivotal factor in designing bosses lies in how cinematic a fight should be. Mega Man games culminate in a showdown with Dr. Wily, who pilots screen-filling behemoths such as the Guts Dozer. Some giant-sized bosses fade in and out, leaving players to anticipate when and where they will materialize. In their study of NES-style design, Yacht Club deduced that such flair should be used sparingly. Cinematic attacks such as bosses disappearing and reappearing work well provided they pop back into sight quickly, staving off boredom and frustration. "That's probably the upper limit for how long an enemy can be on-screen and invincible, in terms of what we think would be a good, acceptable flow," D'Angelo said of Dr. Wily's brief disappearing acts. "We let that guide the process when we put in a boss or an encounter. If the boss is there, you should be able to hit him. Everything else is just weaving in your attacks." Shovel Knight by David L. Craddock is the 19th book in publisher Boss Fight Books’ series of nonfiction titles about game development and gaming culture, and is available now in paperback and digital editions.